Epona shed flowers are must have horse grooming tools! Remove loose hair and dirt effortlessly. 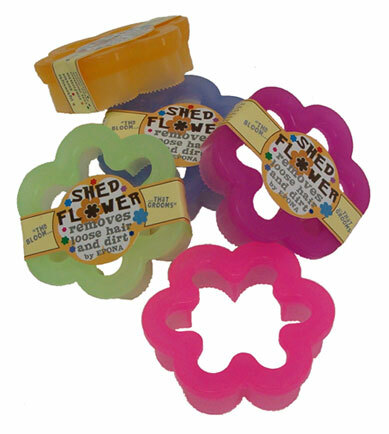 The distinctive flower shape fits in hand of all sizes and weights just more than a fresh picked daisy. Great gift for a horse owner that has everything or as a stocking stuffer.